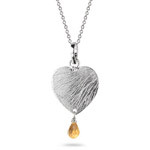 1.50 Cts Citrine Earrings in Sterling Silver . 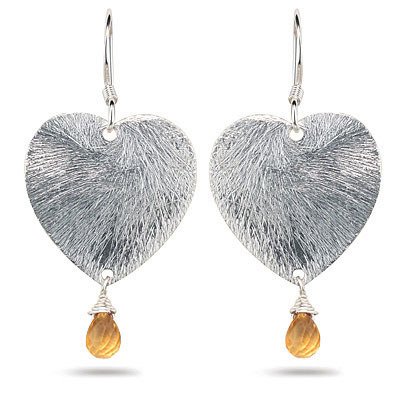 These brilliant heart shaped earrings exhibit a beautiful Citrine Briolette each. Approximate Gemstone Weight: 1.50 Carats. A beautiful pair of earrings for the women on go. You save an additional: 22.80!